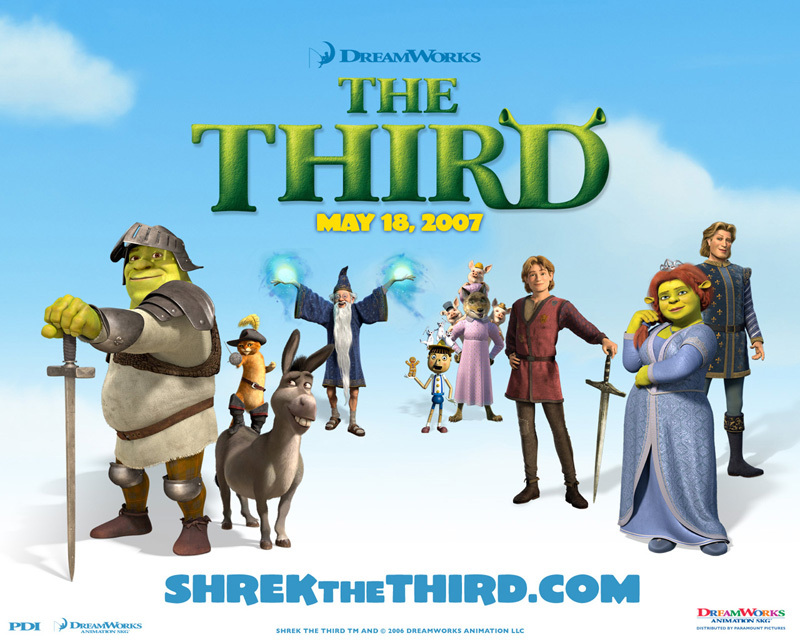 Shrek The Third is planned for release on May 18, 2007. It will be the second sequel to Shrek. It is being animated by DreamWorks Animation, produced by Jeffrey Katzenberg, and distributed by Paramount Pictures. But when his new father-in-law, King Harold falls ill, Shrek is looked at as the heir to the land of Far, Far Away. Unless Shrek (with the help of his trusted companions Donkey and Puss In Boots) can find a suitable King for Far Far Away, the ogre could be stuck to be the next king. The most promising candidate, Fiona’s cousin Artie, an underachieving Medieval high school slacker, proves to be more of a challenge than they bargained for. The first movie of Shrek was released in 2001 and it was the first film to win an Academy Award for Best Animated Feature, a category introduced in 2001. Shrek 2 the sequel after Shrek was then released in 2004. This entry was posted on Wednesday, January 10th, 2007 at 12:59 pm	and is filed under Movie Trailer. You can leave a response, or trackback from your own site.